Caroline here! Have you ever thought about starting a podcast? Maybe the technical stuff just overwhelms you to your core? Kelly and I were totally that way when we started our own podcast baby. I quickly discovered how awesome and amazing the process actually is and I fell madly in love. Podcasting has changed my life. It has given me a voice, confidence and a new found skillset that gets me excited whenever I sit down to the computer. I really hope to be doing this for a long long time. 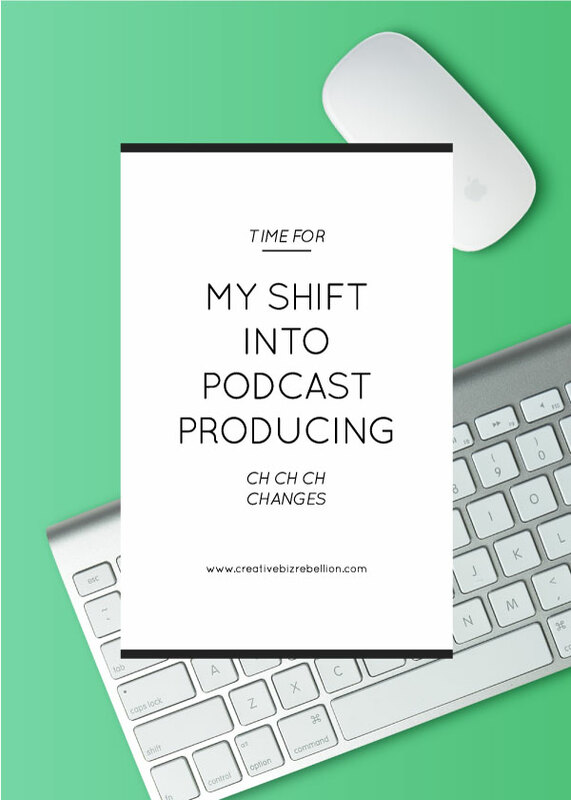 In our episode this week, Kelly and I chatted about shifts we have made and are making in our businesses. My biggest shift this year has been downsizing my shop and wholesale and adding something that truly makes me excited and want to get out of bed in the morning. 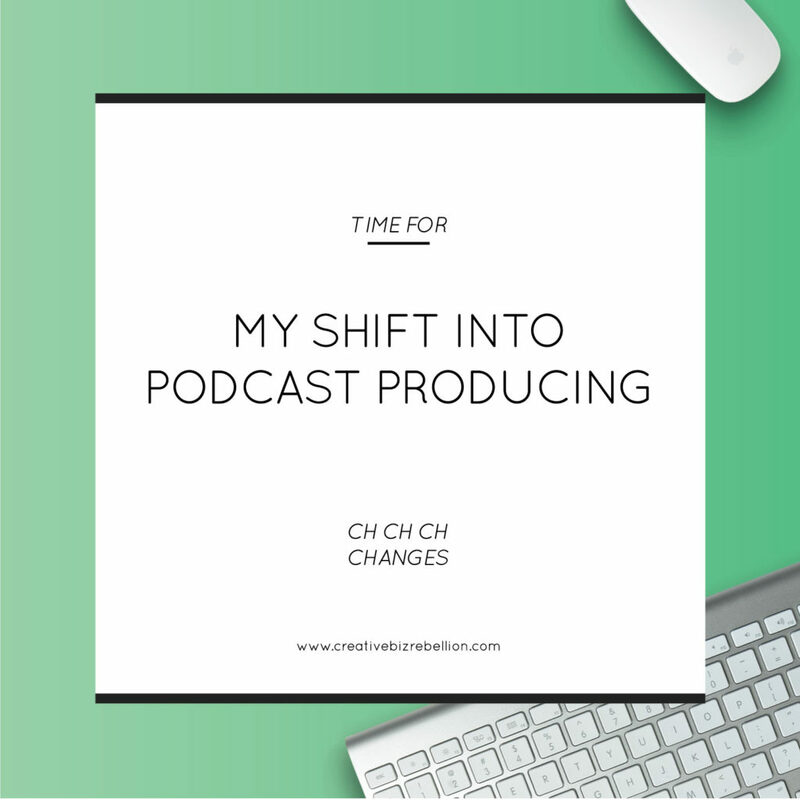 As I shift my business, I am now going to be offering podcast editing and producing services. For me, the podcast process is so much more than simply recording and editing. I want to make sure that from start to finish, your podcast episodes look, sound and are delivered the way they should be. This is what I do with Creative Biz Rebellion and I love every second. I am super excited to begin helping others achieve their podcasting dreams. Don’t worry, I’m not closing my shop and will continue to create designs and products featuring my hand lettering. I believe it is important that your work brings you joy and invigorates you. Hand lettering and podcasting is my jam and I can’t wait to see where this next phase of my business takes me. You can check out more about my services on my website.